Good morning kids. Tuesday and leading the news is the utterly infantile, irresponsible, completely ginned-up outrage at the President for his summit with Russian President Vladimir Putin and his remarks during the press conference. Let me, as a marginally better informed ordinary observer, try and unpack this as best as I can. Excluding the period of 1941-1945, Russia has been at best a geopolitical rival and at worst an adversarial enemy for almost 100 years (longer if you include the 19th Century imperialists who wanted not only not to sell Alaska to us but envisioned Tsarist expansion into Western Canada and down our Pacific Coast). For nearly 100 years (coincidentally it’s the 100th anniversary of the Bolsheviks murdering the Romanovs [last link]), they have been interfering in our internal affairs in an attempt to destabilize us, and foment a communist revolution here at home. Ironic that despite the Soviet collapse in 1991, every major governmental, cultural, academic and media institution has been thoroughly corrupted by socialists and communists to the extent that our youth and too many old enough to know better (or not) have an open, visceral and sometimes violent hatred of their country and fellow citizens. But I digress. And this brings me back to yesterday’s spectacle. The President, as the duly elected commander in chief and head of state has every right and even duty to meet with other foreign leaders, friend and foe alike, in the advancement of our policy, defense of the realm and in the interest of promoting friendly relations. Vladimir Putin is a thug; an ex-KGB agent who views the fall of the old Soviet Union as a catastrophe. As such, he and his allies rule over Russia with an iron fist and will actively strike out at enemies at home and abroad (assassination and invasion included), threatening his neighbors in Eastern Europe and elsewhere and giving aid and comfort to our enemies in the Middle East, especially Iran. That said, despite being essentially a 2nd World Power, he still has nukes, probably aimed at us and therefore you have to deal with him. Hence the summit. But now, put this all in context with the 2016 presidential campaign, and the fabrication by Clinton/Obama campaign operatives of a phony smear campaign involving Russia and then-candidate Trump and that’s why you got what happened in Helsinki yesterday. Circling back, does Russia/did Russia try and meddle in our politics? Yes. Did whatever they did have any affect at all on our election? No. In spite of all this, is there still an ongoing investigation by the DoJ and Robert Mueller ostensibly into all of this? Yes. Is the President, his allies, associates and even family members the targets of this investigation? Yes. Is it legitimate? No. Everything over the past 18 months to two years has had one purpose and one purpose only: ensure the election of Hillary Clinton and then destroy the campaign and then presidency of Donald Trump. The Mueller witch hunt, which the President rightly called out as such, despite any lack of real evidence to prove that PDT colluded with the Russians to steal the election continues to be the ongoing theme of an increasingly desperate and rabidly insane Democrat-Left-Media complex and their allies in the GOP/Cuckservative wing of their movement. So naturally, when the President openly has a summit with Vladimir Putin, the reaction to it was predictable if not still surprising in its level of unhinged rhetoric. They have failed on gun control, immigration/amnesty, judicial nominees, tax and economic policy, they’re losing control of voting blocs they’ve enslaved for decades and worst of all, they have lost the ability to control what we think and have exposed themselves as they hacks and propagandists they are to a much broader, heretofore unaware/uninformed audience. And this failure is the work of the man to who is now the focus of their hatred: President Donald J. Trump. Yes Russia is and was an enemy, yet the Democrat-Media-Academia complex was in bed with them since at least the end of World War 2 as willing allies in an attempt to overthrow the nation as founded, and at the risk of repeating myself, considering the state of our union they almost succeeded, albeit about 30 years too late. So it’s particularly galling when the Left dons the decomposed skin suit of Tailgunner Joe McCarthy to shriek “Russia! Russia! Russia!” at us non-stop since November of 2016. And yet Obama was hot and horny to destroy our nuclear deterrent in 2012 and Hillary Clinton engineered the sale of a significant portion of our uranium stockpile to Putin and his cronies in exchange for $400 million in booze money. Related, Daniel Greenfield has an interesting take on the hacking of the DNC vis a vis Bernie Sanders, that great Yankee-Doodle-Dandy flag-waving proud American (not). Yes, Trump is a nemesis but for yesterday’s unforgivable sin of exposing the Democrat-Media’s complicity in this Russia collusion myth, and the ignoring of the real election shenanigans committed by the Democrats (can you saw Debbie-Wasserman Awan? ), they don’t care if America is ripped apart (hell that’s their goal) so long as Trump is destroyed. 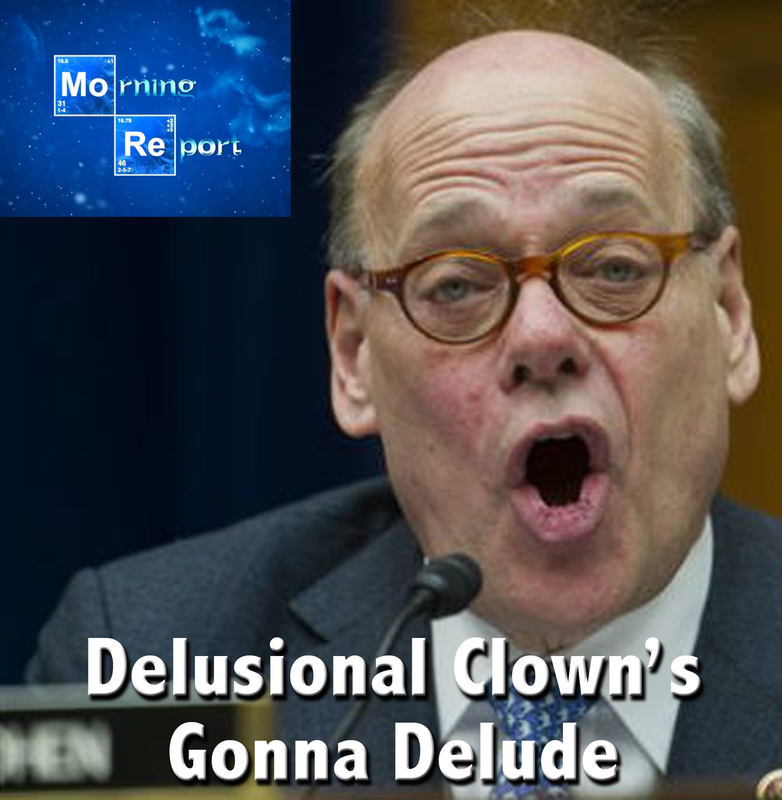 Schmucks like Steve Cohen, Chris Cuomo and John Brennan – the REAL traitor and perhaps the one who has been leading the coup against the President – who shout “treason,” and “act of war” are playing with fire. They are actively undermining our foreign policy from their positions (undeserved as they are) of power and influence, and stoking the potential for violence at home as well as confrontation abroad. Thankfully, Putin knows that they are a collective joke. He all but openly busted a gut at that AP reporter yesterday who asked if he had dirt on PDT. Still, this is hardly a matter for levity. My gut tells me that barring anything unforeseen (and I’ve had that caveat now for 18 months or more) the Dems are going to lose in November and lose big. How will the average mind-numbed droog react? Considering that the standard operating procedure of the Democrat-Left is to now cast aspersions on every electoral or judicial loss as “collusion” or “theft” or “illegitimate,” there can only be one avenue left to them, and that is violence. Vermin like Steve Cohen ought to realize this. Hell, I’m getting the very uneasy feeling that they do. All too well. Greenfield: Did the Russians Hack the DNC to Help Bernardo Sandersnista and the Socialist Left? In Wake of Janus, Will Teacher Unions Imitate Southern Segregationists?